Is Short Story Month Ending on an Anticlimax? Another Short Story Month is winding down, and I must confess I that I had hoped to do more to observe it here. There was, however, a lot of activity at the Emerging Writers Network and elsewhere on the Web. Thanks to all brought energy and enthusiasm to Short Story Month this year. Storied, the social networking site I launched to bring together advocates of the short story is up to 32 members. But not much in the way of discussion has been taking place there, and it's beginning to look like it might be a failed experiment. During May, this blog has mostly focused on posts about books entered for The Story Prize, and we'll continue to do so. Of course, our focus is on short stories year round. Maybe next year we can add a little more to the conversation in May. I still hope to one day see a Short Story Month that includes more events and readings beyond the blogosphere. As we Mets fans say, wait 'til next year. 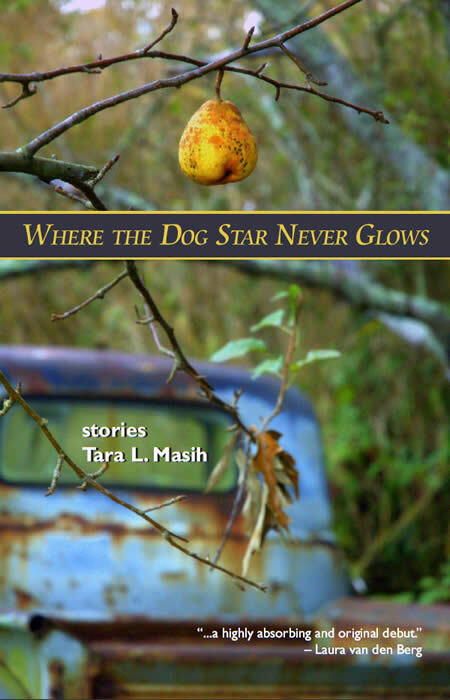 In the fourth in a series of posts on 2010 short story collections entered for The Story Prize, Tara L. Masih, author of Where the Dog Star Never Glows (Press 53) answers a few questions about her work. How long did it take you to write Where the Dog Star Never Glows and how did the book take shape? I wrote the stories in this collection over a period of two decades. The first reprinted story appeared in Hayden’s Ferry Review in 1990, was nominated for a Pushcart Prize by Rick Bass, and has been reprinted in a chapbook and anthology. I consider the publication of that very short story, “Turtle Hunting,” to be the beginning of my writing career. It was my first acceptance into a well-respected journal, and everything that came from that story was reinforcement for me to keep going. Over the years, I’ve written many different stories—with different plots, styles, voices, settings. I finally felt I had enough quality stories to gather into a collection, and knew I needed an objective eye to get it ready for submission. Novelist Lisa Borders helped me order the stories and pointed out some weaknesses, which I fixed. Ordering a collection is always a challenge, especially when you have such a variety as I do, but she did a great job of placing them in an order that would get the reader interested, and keep them reading to the end. From the start of this project, I wanted to include the flash fiction pieces I had published that I felt worked well alongside the longer stories. I was starting to see a couple of other writers do this, and didn’t want to restrict myself. They are brief stories, but stories nonetheless, and I hope succeed just as much as the longer prose succeeds. My long-term hope is that if more authors who experiment with different genres and styles are allowed to mix them, it will introduce readers to new and exciting prose options. After the book was accepted, the publisher dropped one story he felt didn’t hold up to the others, and added in its place another piece of flash. He has great instincts in the story field, and I totally agreed with his decisions. The order Lisa came up with pretty much remained, with a few adjustments for new work (I wrote one new story in the interim). I’ve been really pleased that, so far, even readers who don’t have a literary background and have never read a short short before are accepting and enjoying the interspersed flash. I think they help give the collection a novelistic arc. When I don’t know someone and am signing a book to them, I usually write, “I hope you enjoy the journey.” It’s very hard to describe one’s own work, except in very basic terms. I guess I see the stories in this book as small stepping stones through a journey into different cultures, eras, situations, beliefs, using nature as a backdrop. Borrowing from what others are saying, the feedback I’m most getting has to do with resonance. People say each story makes them think, and I love that. But they are also commenting on the emotive qualities. So I would say, finally, that this book, if it does its job, will make you both think and feel. It’s not an easy read in some cases, but I’m glad it’s appealing to both men and women. There is very little that is process-like about my writing. It’s very instinctual, hard to pin down, and I wish the muses hit more often. There are stories I’ve written in a feverish pitch, start to finish and with hardly any edits, in just a few days; and then there are stories that needed several edits over the years. Being an editor myself has definitely helped my own writing. And self-editing, which used to be excruciating—torturous, really—has become much easier. I feel a story is done when I don’t believe I can change one more comma or one more word. What do you like about the short story form? I got comfortable with the form in high school. I had a dedicated writing teacher, Kathy Kranidas (now Kathy Collins), who knew how to get the best out of her writing students. She made us go right for the gut of a story, and made us fearless about tackling topics and what kinds of characters we would portray. Nothing superficial came out of that class. And with my interest in sociology, it was the perfect place for me to go. She also gave me the tools to write in a way that suited my brain, and how my mind works and see things. I owe her a huge debt for making the short story fascinating to me; no other form of prose writing equals the excitement for me of meeting (and sometimes failing) the challenge of creating a larger world in a smaller space. I simply love the meteoric quality of the short story. In the third in a series of posts on 2010 short story collections entered for The Story Prize, Vanessa Furse Jackson, author of Small Displacements (Livingston Press) answers a couple of questions about her work. How long did it take you to write Small Displacements and how did the book take shape? The book started to take shape after I'd written the title story and realized how many of my other stories were also about small displacements in my characters' lives. The stories were written over a ten-year period (as were others that didn't make it into this collection). The stories in the book all involve these small displacements, either of location or of thought or of comfort zones. They all involve characters forced to re-examine and re-evaluate their situations. The idea of such small displacements came about, I think, because I myself am an expatriate. I'm from England (where all these stories are set) but have lived in the U.S. for 25 years. I live here happily, with a great job and a great husband. But I'm very often aware of my own translocation, as it were. I love the craftiness of short stories -- the kinds of problems and psychological riddles you have to solve on the way through writing a draft. I love not knowing what's going to happen and then -- eureka! -- finding out. I love the varied characters I discover that I might never otherwise meet. I love the act of writing short stories. I love the endless, ongoing reworking they ask for. 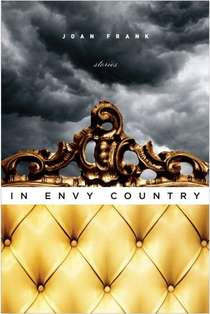 In the second in a series of posts on 2010 short story collections entered for The Story Prize, Joan Frank, author of In Envy Country (University of Notre Dame Press) discusses her dual role as a writer and reviewer. Plenty of writers make a point of exempting themselves (maybe recusing is a better word) from reviewing other writers’ work. I understand this. They (the self-recused) can’t forget how long it takes to make a book; how hopelessly personal, therefore vulnerable, the project always feels. To deliver a public judgment on someone else’s work strikes them as kin to strolling into oncoming traffic. Most authors have lived through a couple of bad reviews: not fun. Of course one could strike back with an outraged letter or a punch in the nose, but nearly everyone understands that's inadvisable. The Unspoken Writers’ Integrity Code stipulates that after receiving a bad review (or a good one for that matter) a writer vanish noiselessly back down her prairie-dog hole—presumably, to begin again. A hand in the game: Thinking and talking about books is delicious luxury. When I prepare a review, I feel that I am shaping an intimate message—as if over a café table—about something whose survival matters desperately to both the listener and to me—not so much the book in hand as the whole enterprise of literary art. Visibility: Many writers blog as a method of connecting to a reading public. But because there’s such an avalanche of them now it strikes me that much individual blogging, however gifted, often wafts unread into the ether. Nonetheless, as more and more journalism migrates to online status, reviewing venues may soon be exclusively accessed that way and continue to draw the faithful. Communicating passion for reading: “Submit to whatever spell, weak or strong, is being cast," said Updike. Every word a reviewer writes can telegraph the power, richness, and joy of reading, and "all our discriminations should curve toward that end,” urged Updike. Joy arrives with discovery—which happens, thank heaven, all the time. The great reviewing challenge, naturally, is to discuss reservations without trashing the work. Trashing serves no one, and possibly takes the cause of literature down a peg. I’ve stumbled on occasion—overpraised work out of caution, taken work to task because its aesthetic abraded me. But these missteps only made me resolve to cleave more intently to Updike's golden standards. In the end, is the reviewing industry arbitrary, idiosyncratic, uneven? Of course it is. Is it better than nothing? It has to be. Literary venues are fighting for their lives. And that alone may be reason enough for contributors to to give it their very best. Dan Wickett has kicked off Short Story Month at the Emerging Writers Network. There, some astute readers are discussing particular stories from upcoming collections. And once again, Steven Seighman has designed a nice logo (above). The American Short Fiction blog, Reading the Short Story, The Short Review, and BookFox, among others, will also be posting frequently on the subject. Our plans for May are to continue to post about books we receive as entries and on other subjects relevant to short fiction. In other words, business as usual. Beyond the blogging, however, wouldn't it be nice to organize behind this idea further and some day have readings and other real world events for Short Story Month? How about an annual short story festival? What about a short story writers hall of fame? Well, several months ago, I set up a test site to focus on such ideas and invited a few people to participate. It hasn't exactly caught fire, so I've decided to open it up to anyone who might be interested. The site is called Storied, and for now Ning is hosting (though the fees they'll start charging in July may change this). I'm the administrator by default, but there's plenty of room for people to present their own ideas and start their own discussions. So give it a try. Who knows? Maybe in May 2011 or 2012 we'll be gathering to celebrate Short Story Month with readings, film showings, panel discussions, book signings, and the kind of serious partying that would do any short story writer proud. The Namesake: Will The Digital Age Favor O. Henry-like Storytelling? O. Henry: Ripe for a comeback? On Saturday, I attended a reception for the 2010 PEN/O. Henry Prize Stories, as part of the PEN World Voices Festival. It was kind of like going to an engagement party for an ex-wife you've gotten over. I was series editor of the O. Henry Awards for six years, the 1997-2002 volumes, before Anchor Books abruptly decided to make a change. But it's been a while now, and over the last few years, I've exchanged the occasional friendly email with Laura Furman, the current series editor. I even boxed up my collection of about 20 past O. Henry Awards volumes and shipped it to her. So when Laura sent an invitation to the reception, I gladly accepted. It was a friendly meeting. The low-key party took place at Idlewood books on West 19th Street. Among the hosts were One Story editor (and Story Prize board member) Hannah Tinti and Tin House editor Rob Spillman. A few of the authors in the 2010 volume were on hand. I also saw A Public Space editor Brigid Hughes (another board member) and past Story Prize finalist and O. Henry Award winner Joan Silber. One thing that hasn't changed about the O. Henry Awards is the series' ambivalent relationship with its namesake. Someone asked Laura Furman if the stories in the book are like O. Henry's, and she quickly denied any connection beyond the name of the series. I always answered the same way. 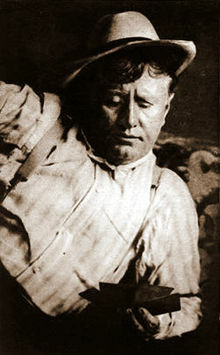 Literary fiction branched off from the kind of popular magazine and newspaper fiction that William Sydney Porter (aka O. Henry), published at the turn of the last century as other forms of entertainment appeared. And you're more likely to find his formula of clever plots and surprising twists in television and movie scripts than in stories appearing in one of the prestigious annual literary collections, such as the O. Henry Awards, Best American Short Stories, the Pushcart Prize collection, and New Stories from the South. Of course, stories written as much for entertainment as for craft are still prevalent in genres such as horror, mystery, and romance, and many of them are excellent. However, popular fiction as a genre unto itself no longer really exists. But here (wait for it) is the twist: The digital age could offer such types of stories a second life. Radio, movies, and TV might have stolen a large part of the audience for popular storytelling, but digital platforms such as the iPad, Kindle, Nook, and Sony Reader have the potential to bring back the crowd pleasing, O. Henry-style story. These devices lend themselves very well to the short form and will be in the hands of a growing readership. So could popular short fiction mount a comeback in the digital age? I'd say, yes. How would that be for a surprise ending? Note: May is Short Story Month in the blogosphere. This site is all about short stories, and we'll continue to post on our favorite subject throughout the month.